The thief comes only in order to steal and kill and destroy. I came that they may have and enjoy life, and have it in abundance (to the full, till it overflows). John 10:10 (AMP). Nothing in life tries to steal, kill or destroy our drive in reaching our full potential like an average mindset. An average mindset is a common, ordinary, routine, inexperienced, stagnate set of thought processes that influence how an individual or group will respond to situations and problems in life. To be a “cut above the rest”, we must have the willingness to do what the average person will not do. 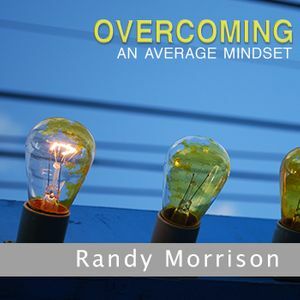 In this message series Pastor Randy Morrison teaches that there is no need to settle for an "average" mindset and how God want us to run our race to win for Him!